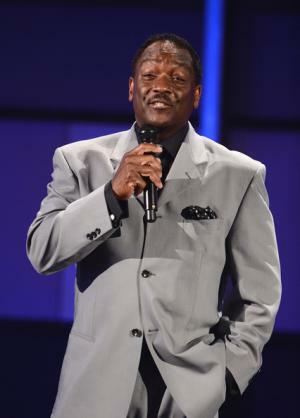 Donnie Simpson, born on the 30th of January 1954, is an American radio disc jockey and television show host, best known as the host of the radio show “The Donnie Simpson Show”. So how much is Simpson’s net worth? As of mid-2016, it is reported by sources to be $5 million, obtained mostly from his long career as a radio show host, television personality, and a couple of movie projects. He is the first urban format radio personality to earn an annual income of over a million dollars without his show being syndicated. Born in Detroit, Michigan, Simpson’s career started at a very early age. At 15, he was able to bag a job at the radio station WJLB in Detroit famous for their urban contemporary style. Simpson worked for the station for seven years, and then decided to move to Washington D.C. to work for the radio station WRD-FM. He was able to host the morning show for the station for 15 years, making him one of the most loved radio DJ’s on the airwaves of D.C., and earning him Billboard magazine’s ‘Air Personality of the Year’ in 1998. His success in the world of radio built his career and net worth, until he decided to transition to television. In 1981, Simpson became part of the television show “George Michael Sports Machine”, as the back-up anchor to the host George Michael. His exposure on the show led to another project, this time as the main host. BET network called Simpson to host the show “Video Soul”, a music-oriented program that features African-American artists, old and new to promote their music. Simpson became the shows’ most prominent ‘veejay’, hosting the show from 1983 to 1997. Before leaving “Video Soul”, in 1993 Simpson went back to radio, and hosted “The Donnie Simpson Morning Show” on the radio station WPGC-FM; the show established him as the premiere DJ in D.C., tremendously helping his net worth. In 2010, after almost forty years in the business, Simpson decided to leave his show and retire. His fans and many well-known names in the music industry were surprised with his decision, some of them even called his program on his last day on the show, including names such as Wyclef Jean, Toni Braxton, Stevie Wonder and Smokie Robinson tobid farewell to the radio show host. After five years of absence, fans still cannot get over Simpson’s retirement. In 2015, Simpson came back and became the host of his afternoon radio show “The Donnie Simpson Show”, airing in WMMJ Magic 102.3, together with sidekicks Ric Chill and Timothy Hall. Another television show is also in the works for Simpson, under the TV One channel with the running title “Donnie After Dark”, imitating the format of his former show “Video Soul”. In terms of his personal life, Simpson has been married to Pamela since 1973, and together they have a daughter. Aside from being a radio show host, Simpson is also busy serving as a pastor in his church alongside his wife. Parents Dorothy Simpson, Calvin Simpson Sr. Nominations Billboard's "1998 Air Personality of the Year"
TV Shows “The Donnie Simpson Show”, "The Donnie Simpson Morning Show", "George Michael Sports Machine","Video Soul", “Donnie After Dark”, "Krush Groove", "Black in the 80s"
1 Longtime radio personality in the Washington, DC area market.